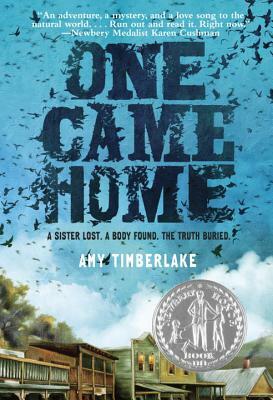 AMY TIMBERLAKE is the author of the Newbery Honor book One Came Home, as well as the middle-grade novel That Girl Lucy Moon and picture book The Dirty Cowboy, winner of the Golden Kite Award. Amy has worked as a book reviewer, columnist, and children's bookseller. She grew up in a small town in Wisconsin, and now lives in Chicago. Visit her at AmyTimberlake.com.